Smartphones will bring VR to the mainstream, but engagement and margin will remain a challenge. However, we’re told that the lower price of these devices means they will only account for 7% of hardware revenue. 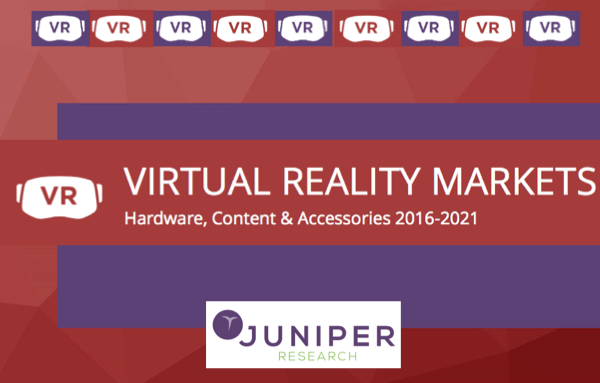 Juniper’s latest research, dubbed “Virtual Reality Markets: Hardware, Content & Accessories 2016-2021“, is on sale to relevant parties at relevant prices. “Many consumers are likely to try the platform because the hardware is relatively cheap, and then turn away because of low-quality free content. As per usual, there is a whitepaper available with more detail, designed to tempt you into purchasing the full research. The whitepaper is entitled: “Virtual Reality: Virtually Here”.